The Payments list screen has been updated with a new “Payment Date” column. This date represents the date the Payment is due. 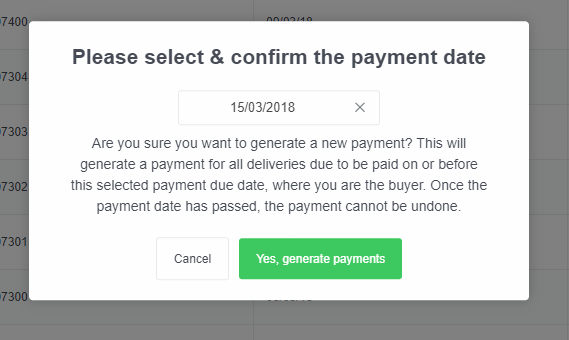 When you select and confirm the payment date as shown in the pop up box below, this is the due date that will appear on the list screen. As you can see in the image below, the Payment Date is displayed next to the “Payment No.” column. This provides increased visibility over the payment process and allows transparency across your platform for all your team members. For more information on how to create Payments see the Knowledge Base article below.